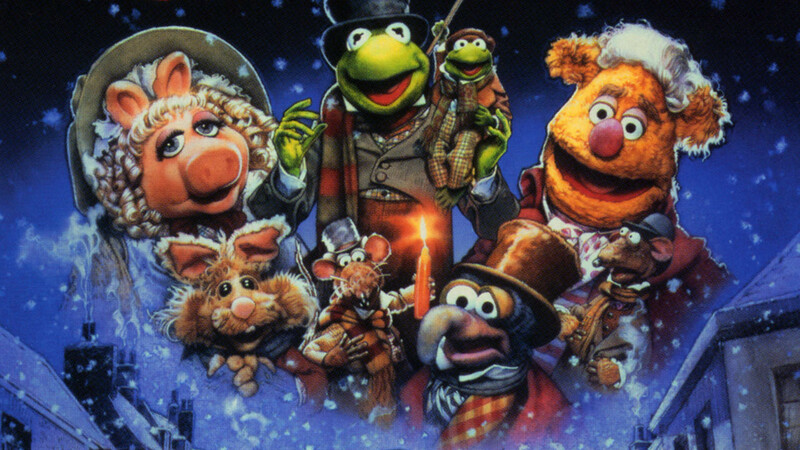 It’s just not Christmas for me without “The Muppet Christmas Carol”. We all have that one Christmas special or movie we have to make time for during the holiday season. And sure, I love “Elf” and “It’s A Wonderful Life” and “Charlie Brown Christmas” and of course “Die Hard”. But “The Muppet Christmas Carol” is my personal favorite Christmas movie. The original music is infectious. The emotions are heartfelt. Michael Caine as Scrooge should have won an Oscar. If you’ve never been won over by the charms of the movie you might think this is all blasphemous. You might think adding Kermit and Gonzo and Rizzo the Rat to Charles Dickens’ classic story to be a literary crime. 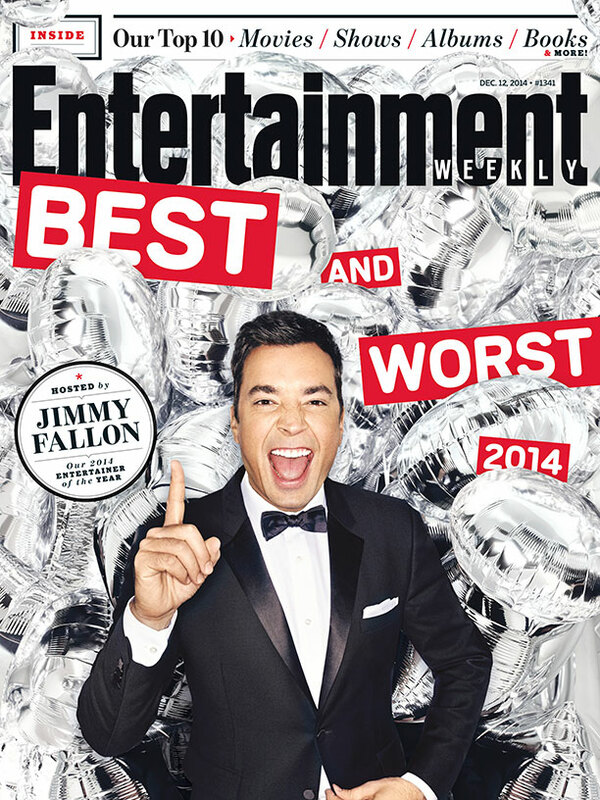 Jimmy Fallon – Entertainment Weekly’s 2014 Entertainer Of The Year. It makes sense now. Fallon has reinvigorated The Tonight Show with a sense of joy and clips that go viral on a regular basis. He’s righted the ship of NBC late night after 5 years of shakiness between Conan and Jay Leno. But if I had told you 5 years ago that Jimmy Fallon would be the most beloved entertainer in America, you would have laughed harder than, well, Jimmy himself when he breaks up during a sketch. When you picture Jesus at Christmas, your mind probably goes straight to the image of a baby wrapped in swaddling cloth in a manger. But I like to picture Jesus at Christmas clothed in a tacky sweater. In recent years it’s become a badge of honor to sport an a ugly Christmas sweater. You’ve probably already been invited to half a dozen tacky sweater parties this year. Hipsters and millenials ravage Goodwill every December to find all the holiday horrors of the past. In fact, clothing companies are now producing intentionally ugly Christmas sweaters to celebrate the new fashion trend like this one. Seasonal. I was just supposed to be a seasonal employee. In November of 2013, a few months after leaving my full-time position as a youth pastor, I began working at Kohls part time to help me earn some extra spending money for Christmas. I thought I would work here for a few weeks. 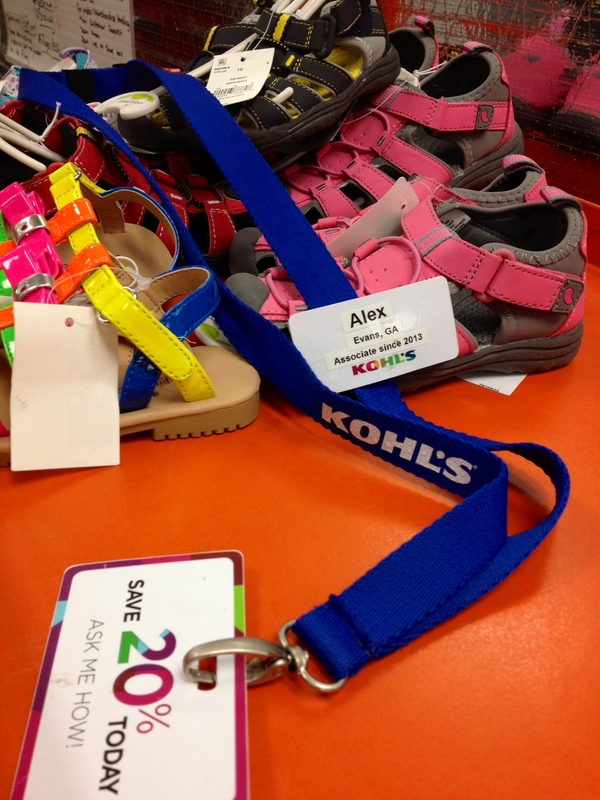 Today, over seven months later, I’m clocking in at Kohls for the very last time. Life has not panned out as I planned it in 2014. I didn’t find a full time job as soon as I thought I would. But now, as I prepare for a new working opportunity, I’ve been wondering how to sum up my experience with Kohls. Diving back into the world of retail after a 7 year absence has been one of the most challenging experiences of my life. I’ve complained. I’ve cried. I’ve whined. I’ve moaned and groaned to my closest friends. I’ve screamed at God, wondering why He would let me flounder in a dead-end job without any hopeful prospects on the horizon. I’ve struggled to figure out exactly what I’ve learned from this detour in life. Are You Missing The Answer Right In Front Of You? My dog is getting old. He used to be able to jump right up into my bed each night, snuggling up to sleep next to me. For the past few months though he hasn’t been able to make the leap. Bless his little heart, he tries and tries. 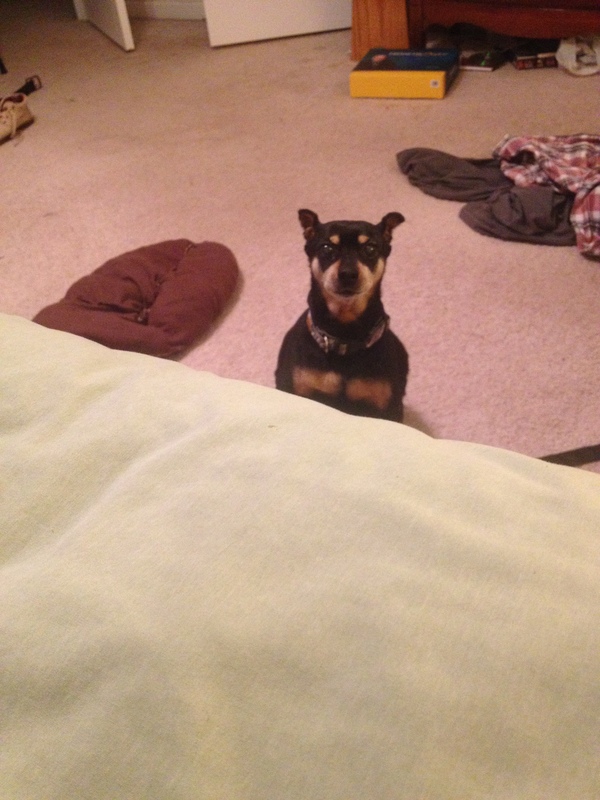 He stretches his legs and sticks his head up just barely over the mattress. But his legs aren’t strong enough anymore. It’s about the most pitiful thing ever. So for Christmas Roc got a brand new set of dog stairs. I thought this would be the perfect gift for him. No longer would Roc have to wait on me to lift him up to where he wanted to be. He could help himself into the bed whenever he wanted. Except Roc won’t use the stairs. It’s not that my dog has never used stairs before. He knows what they are. He’s been up and down stairs at all sorts of houses and buildings. He just can’t quite figure these stairs out. My dog is scared of the steps. He will stand right next to them as he struggles to pull himself into the bed, not realizing the solution he’s been searching for is right next to him. I shake my head night after night, wondering how he could be so ignorant. But then I wonder – how often does this happen to us? I might have been the only 26-year-old male on the planet who was excited to get a crock pot for Christmas. For a few months I had been hearing some of my married friends talk about how much they enjoyed using their crock pots and how easy they were to use. As someone who enjoys food and things that are easy, I placed a crock pot on my Christmas list.